Some people debate "cooking vs. assembling." These days I have enough drama cooked up in my own life that assembling seems just about right. 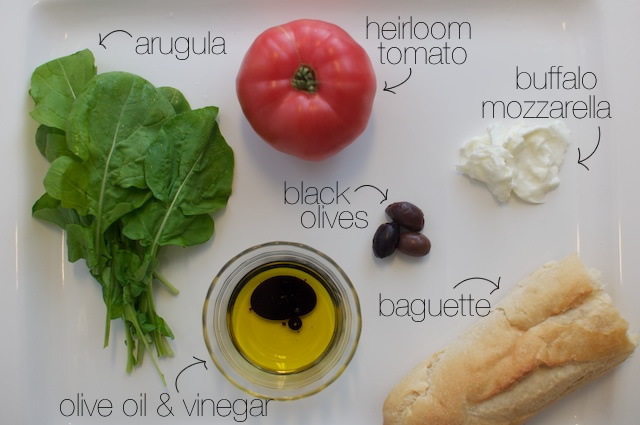 I try to start with delicious ingredients. Stack them together. Add a little salt, and call it dinner. 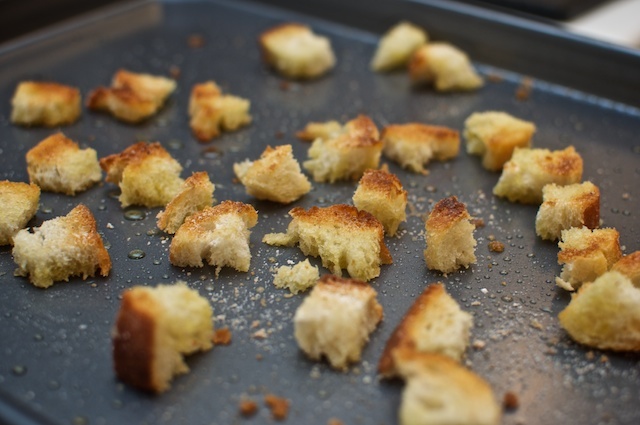 If you happen to have extra energy, you can make your own toasted croutons by drizzling bread cubes with olive oil and broiling for about 3 minutes. My sister busted out the garlic salt, and I confess these croutons were better for it. 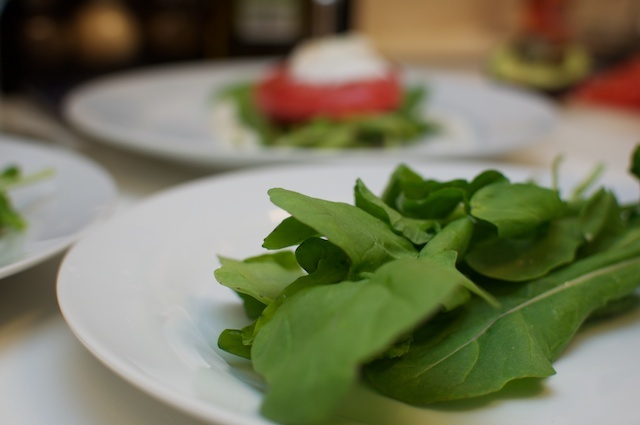 Stack peppery arugula, thick slices of heirloom tomatoes, torn buffalo mozzarella (one of my favorite indulgences), chopped black olives, olive oil and a tiny splash of balsamic vinegar. 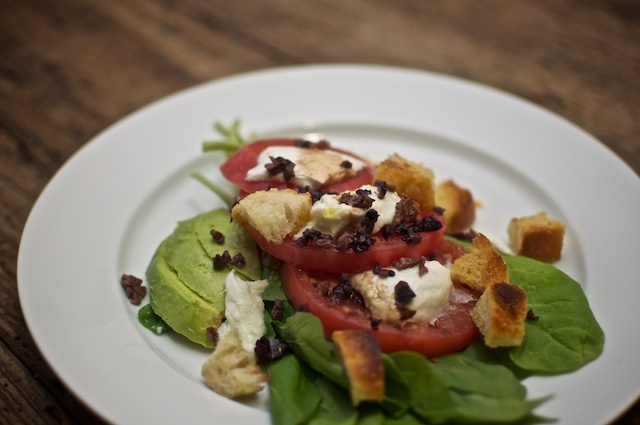 A scattering of croutons and a sprinkle of salt finishes off the dish. This salad was inspired by a beautiful picture I found in a Donna Hay cookbook. She added basil, which would have been perfect had I not forgotten it at the grocery store. So add anything else that strikes your fancy. That usually means an avocado in my house. Here's to happy assembling of our food and our lives!